As my daughter gets older I’ve been spending more time exploring what kinds of activities and places we can go to keep busy and let her explore the world around here. 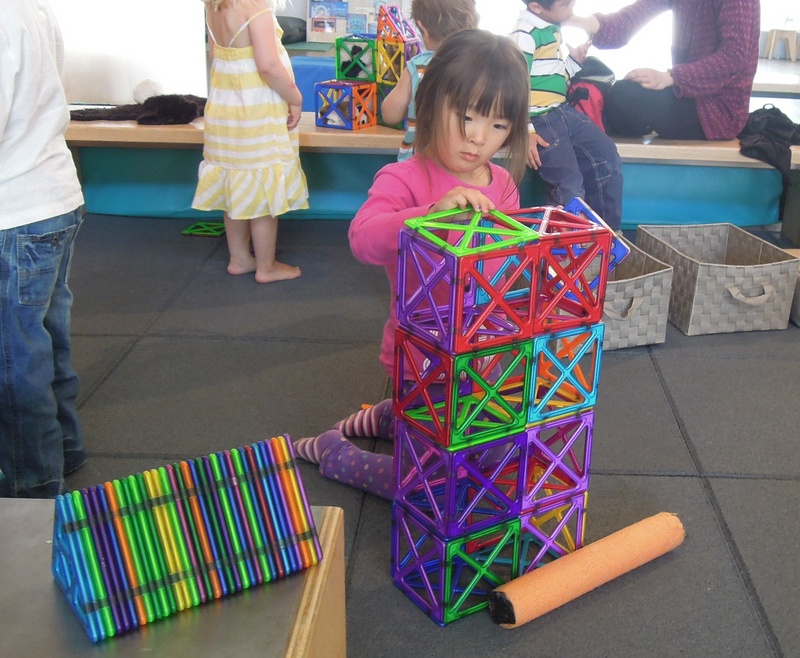 One of my latest finds was the Children’s Creativity Museum in San Francisco. I had never heard of it before but during a lunch out with some co-workers I saw a sign for it and looked it up. I was excited to see that my local library lets you sign up for one free pass for two people each year(check your library’s website. I’ve found that several of my local libraries offer free passes to a bunch of different places). So a couple of friends and I took our kids to check it out. 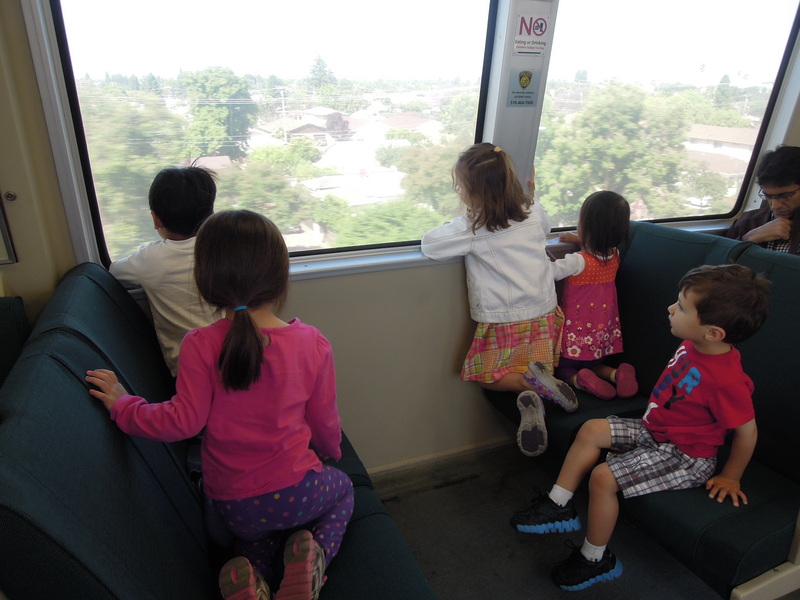 Parking is horrible in the city so we decided to take the Bart train which the kids loved! I think they would have been happy with just that ride. The museum was just a short walk away from the Bart station and on our way in we ran into a festival going on and found out they have these every Friday through out the summer. 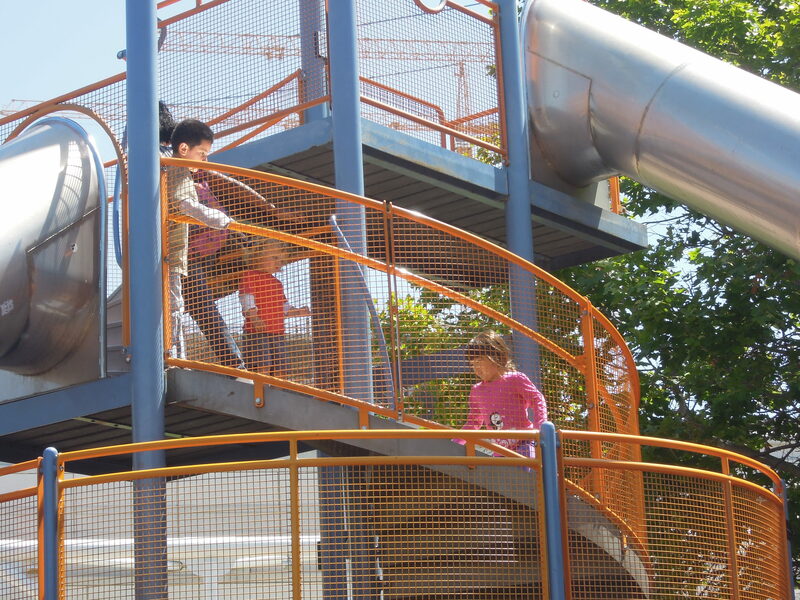 There was also this awesome playground. By time we made it off the playground and into the museum it was lunch time and the museum had this nice patio with both kid sized and adult sized tables to eat at. Once everyone was fed we started exploring. 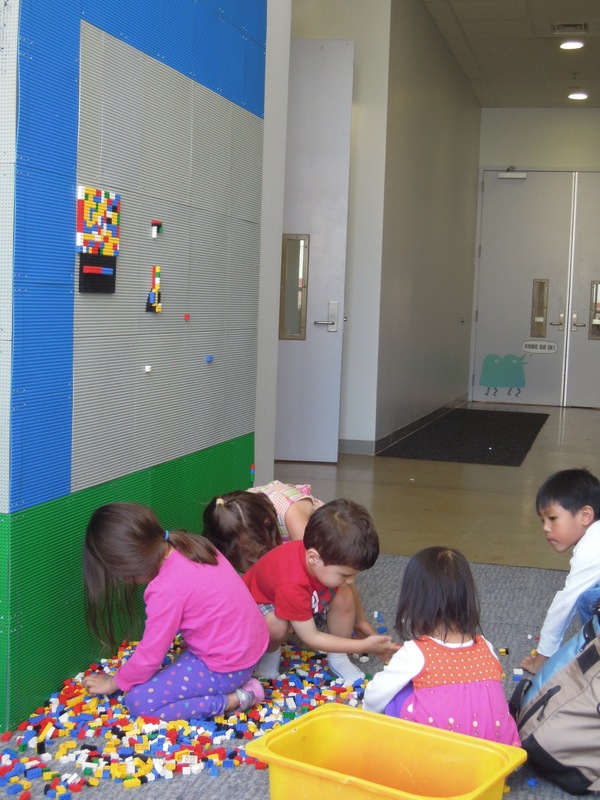 First stop was this magnet building area. My 4 year old daughter loved it! All the kids had a ton of fun building things and we were there for a long time. 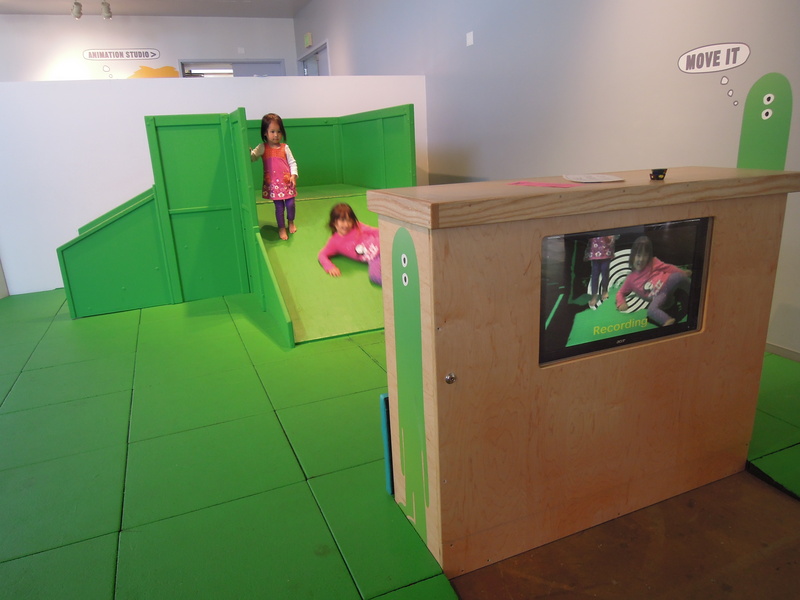 There were also several “green” rooms that the kids could play on slides or dance in front of cameras and then see themselves on TV. 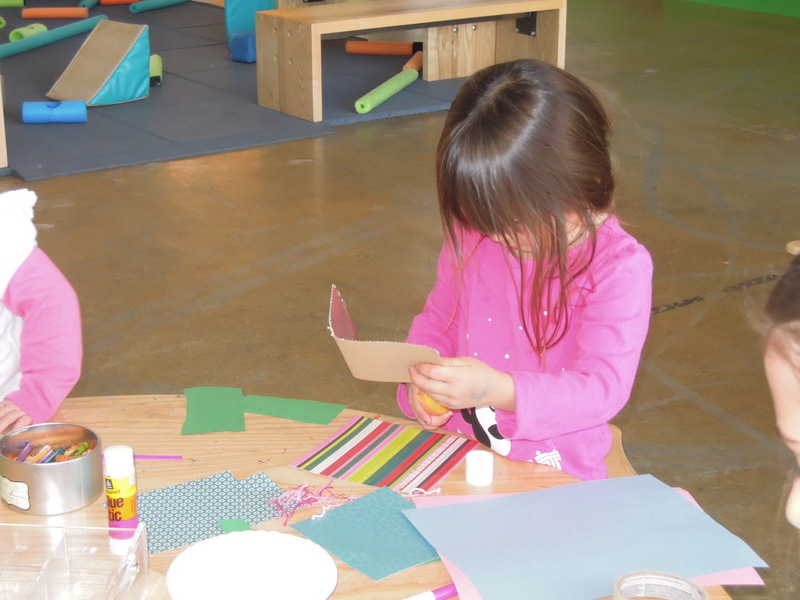 They also had a bunch of craft stations. 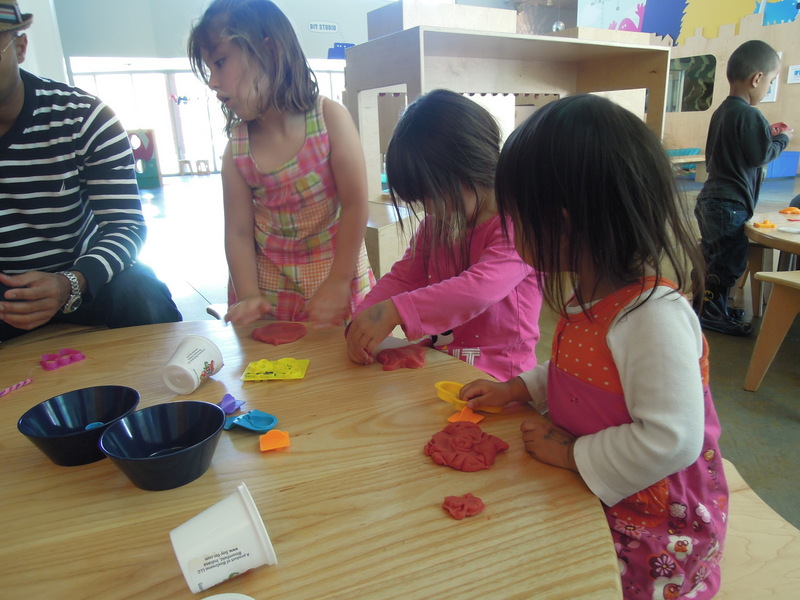 You could make cards or pictures with a bunch of materials laid out among tables, draw on the chalk board or play with some play doh. 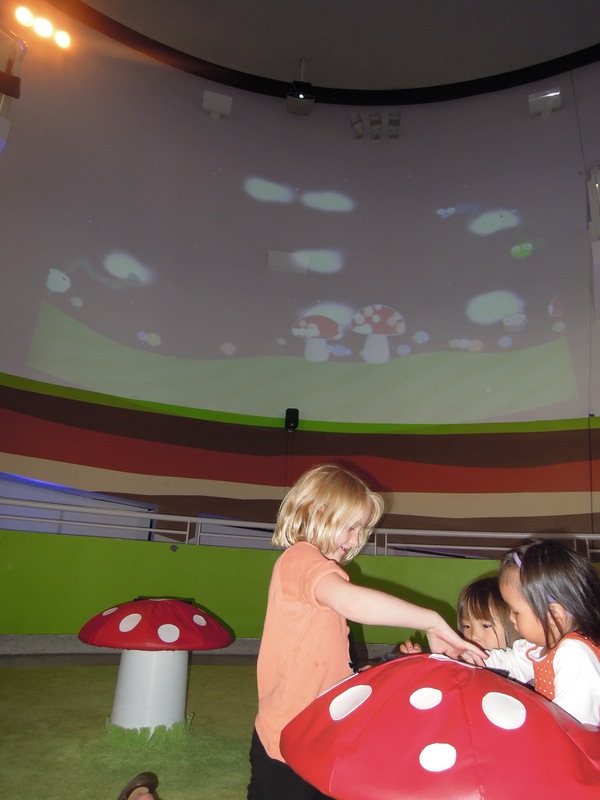 They also had this cool wall where you could play with legos and this huge room with mushroom tables that each had an iPad attached to it. There was some application that let you draw shapes that would turn into creatures that floated around large screens all over the ceiling. 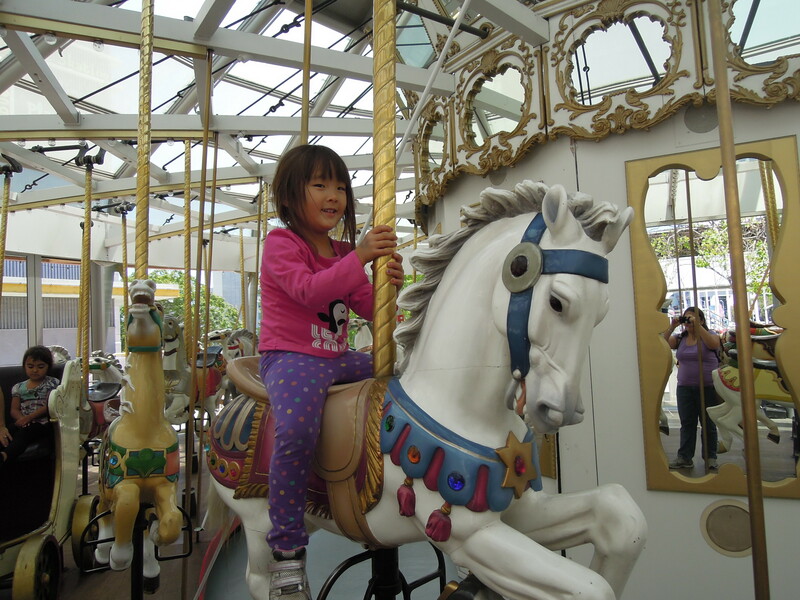 We finished off the day riding their giant carousel and then riding the train back home. We were there from roughly around 11 until 3:30 and only explored maybe half of the museum. 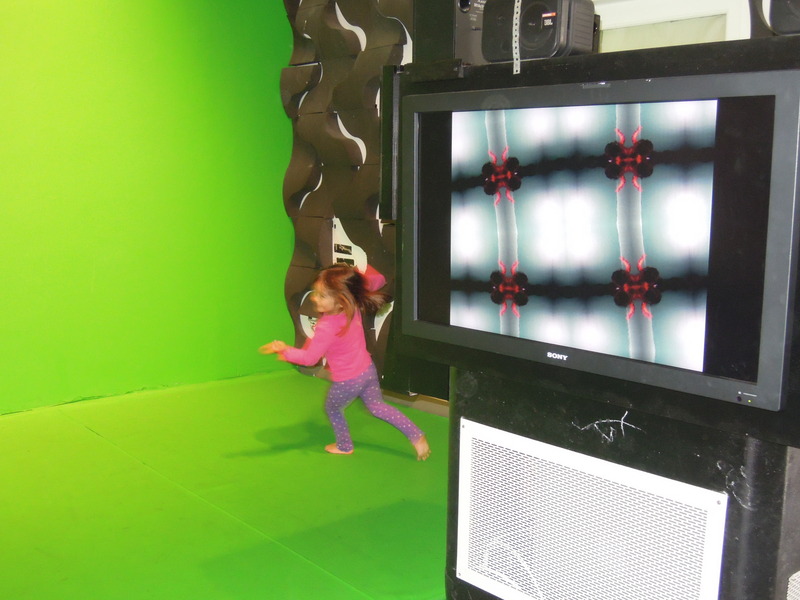 If your kids are a little older there also was an innovation lab where they gave you a bunch of materials and let you create things, a recording studio where you could sing and have them add all sorts of backgrounds to your music video to take home, a Photoshop lab, an animation lab where you could create creatures/things out of play doh and then create animated videos with them and a few more things. You could probably spend all day there and not get bored. They even had this “dreaming” area with bean bags to recline on, books to read and neat origami mobiles hanging over head. If you are in the area I definitely suggest checking this museum out. I do suggest packing your own lunch as the museum doesn’t have any sort of concession stand. Fortunately we had brought our own food. 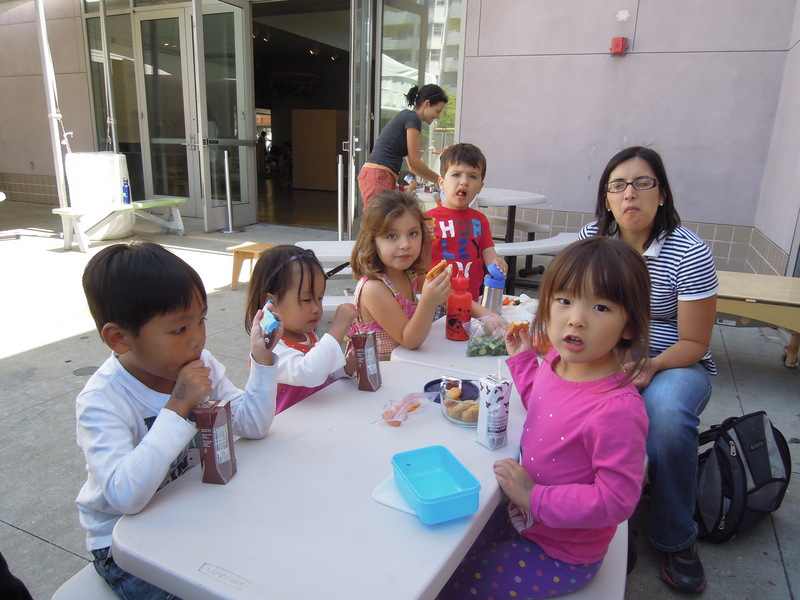 Check back soon for our Chabot Space & Science Museum Tykes Class.